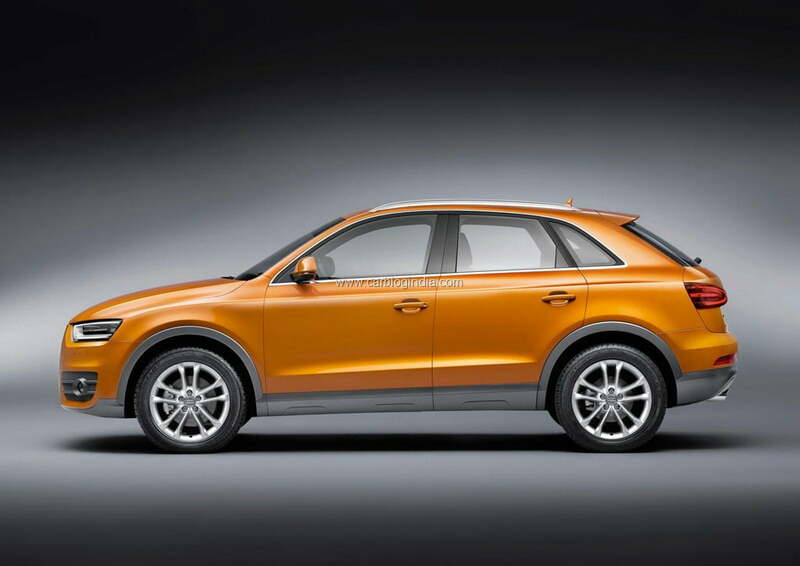 Audi has finally unwrapped the Audi Q3 for the media and public just before the start of the Shanghai Auto Show 2011. 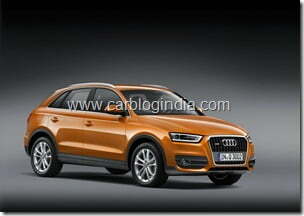 Recently Audi released some teaser sketches and graphics for the Audi Q3. Audi has now officially unwrapped the compact SUV Audi Q3 which will compete directly with the entry level luxury SUVs like the Honda CRV, BMW X1, Toyota Fortuner etc..
Audi Q3 is a premium SUV as well as a compact one. 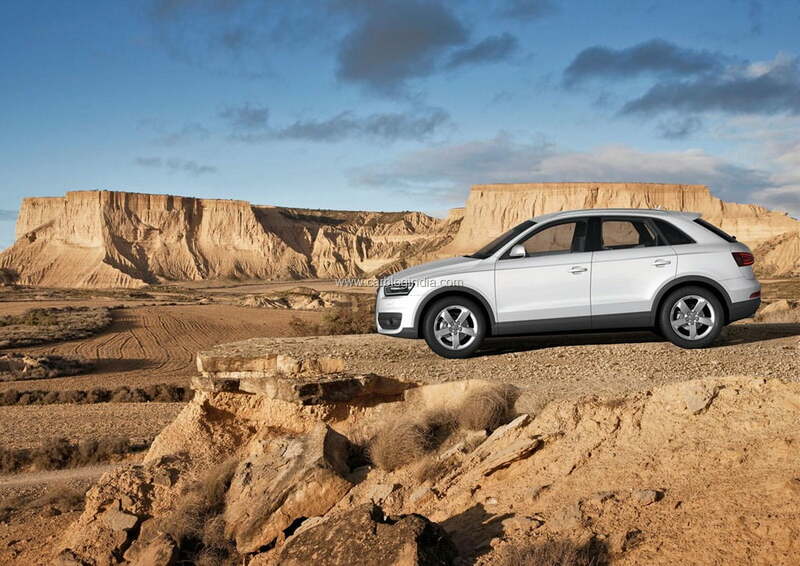 The design of the Q3 is classic Audi: its coupe-like styling is one-of-a-kind among SUVs and symbolizes its sporty identity. 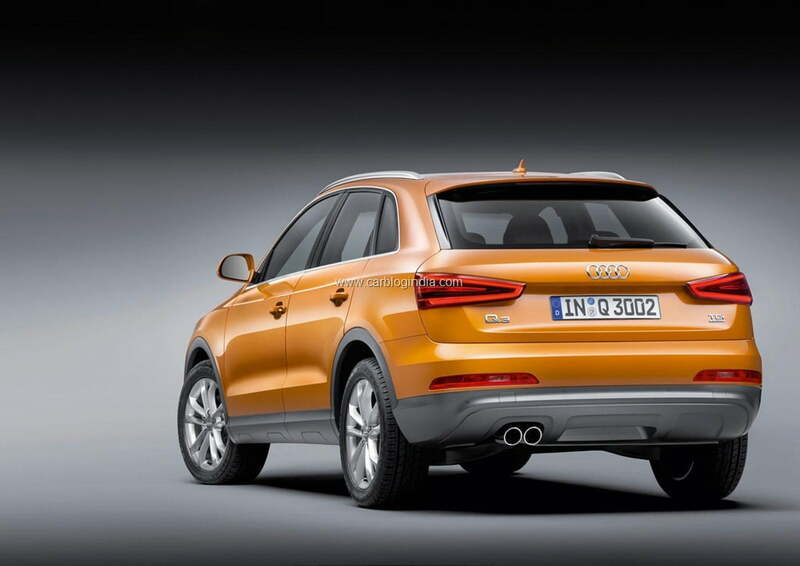 Distinctive lights add a striking touch and the very flat-set rear window emphasize the sporty nature of the Audi Q3. 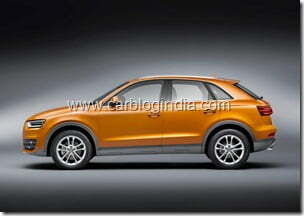 The basic version of the Audi Q3 weighs less than 1,500 kilograms (3,307 lb). 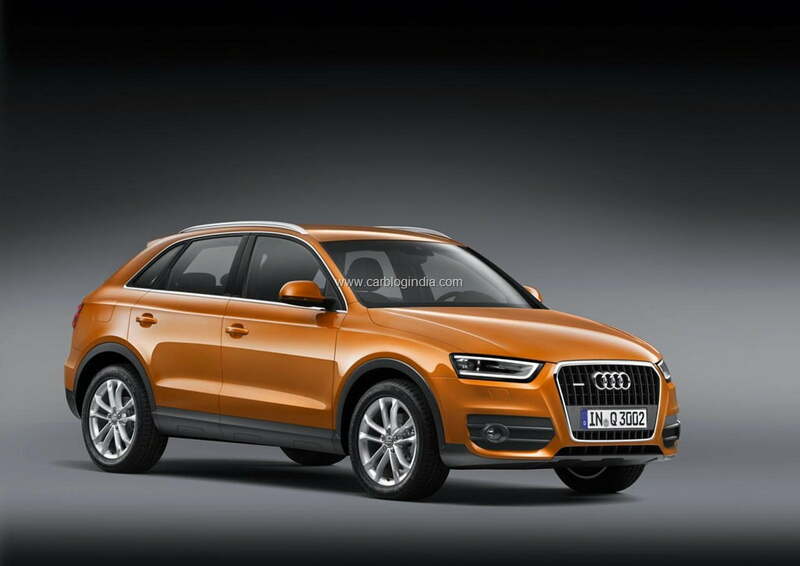 Audi Q3 features an entire set of infotainment components, spearheaded by the large MMI navigation plus – a hard drive navigation system – and the Bose surround sound system, with handsomely illuminated woofers up front. In the near future, an online Bluetooth car phone will follow, paired with a WLAN hotspot to provide the Q3 with full Internet connectivity. 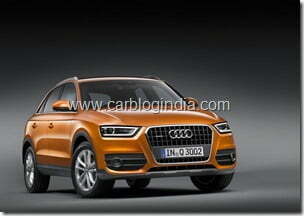 Audi Q3 Engine options include three different four-cylinder engines: one TDI and two TFSI units. All three will combine direct injection with turbocharging, and will feature not only an energy recovery system but also a start-stop system. With power outputs ranging from 103 kW (140 hp) to 155 kW (211 hp), these engines will be as efficient as they are powerful. 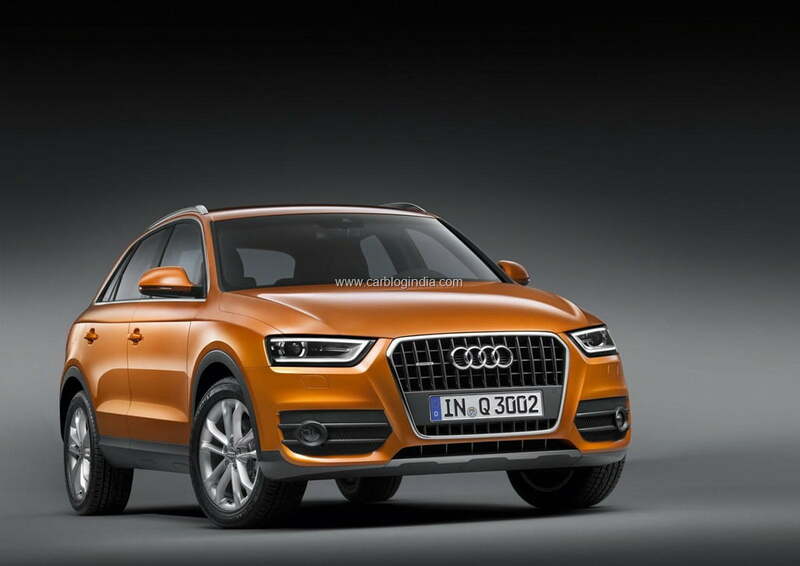 The basic version, the Q3 2.0 TDI, is scheduled to appear a little later and – with 103 kW (140 hp) and front-wheel drive – will average less than 5.2 liters of fuel per 100 kilometers (45.23 US mpg). 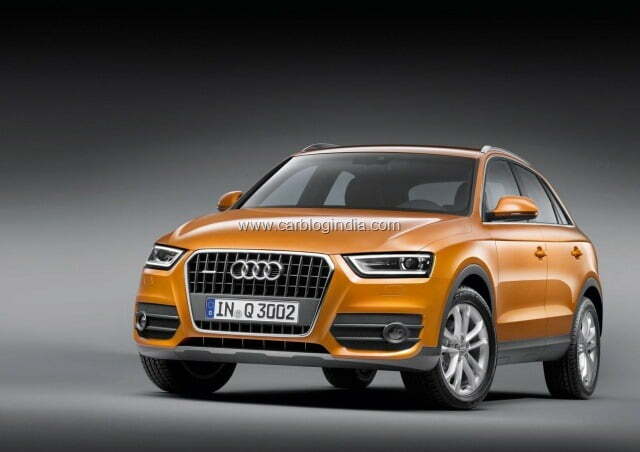 Dimensions of Audi Q3 are 4.39 meters length, 1.83 meters width, and 1.60 meters height. 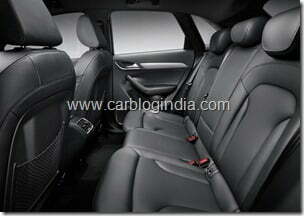 The roomy interior of the Audi Q3 harmoniously mirrors the exterior design’s sinewy yet gentle styling. 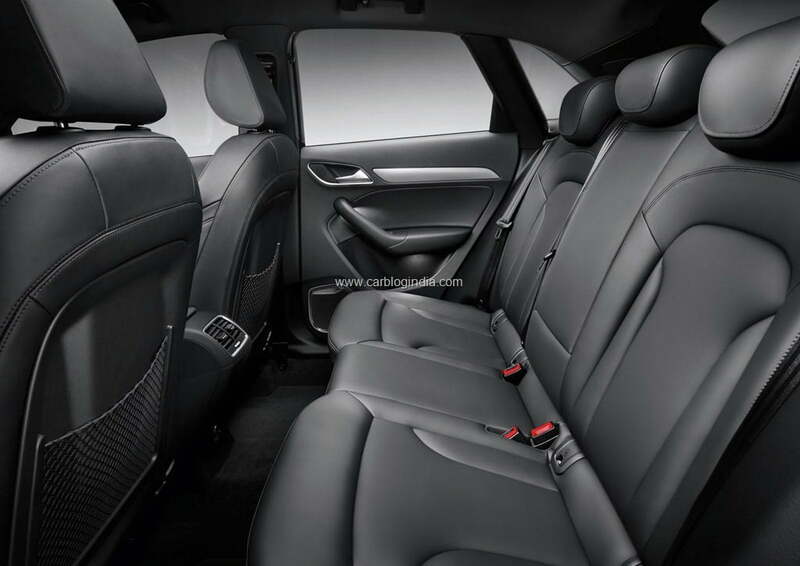 A large curve, known as a wrap-around, encapsulates the driver and the front-seat passenger – a feature familiar from the brand’s large model lines. The dashboard’s horizontal layout underscores its width. An optional color display (as large as seven inches diagonally) on the instrument panel is a first in the Q series. 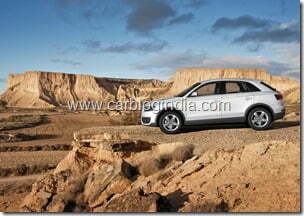 The Audi Q3 has a chassis that combines outstanding safety with excellent comfort and is well-balanced and harmonious. 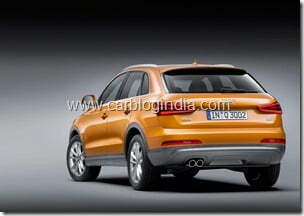 Its four-link rear suspension handles longitudinal and lateral forces separately. The electromechanical power steering performs responsively, precisely and very efficiently; the electromechanical parking brake boosts convenience.